With firm commitment to quality, our firm is engaged in offering a comprehensive range of Axial Flow Fans to the prestigious clients. Inlet & outlet cones and dampers can be availed with M.S and S.S casting. Our expert professionals manufacture the offered range of axial flow fans in complete compliance with the industry laid standards & norms. 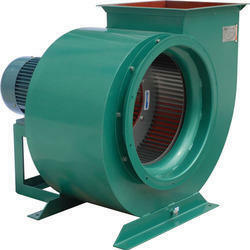 industrial Fans & Blowers are used for the application of Air Circulators Material Carn"ers. and Exhausters etc~ for various application in Process Industries, Refineries Power Plants Chemical & Fertilizers Industries Petrocfiemicallndustrfes, Pharmaceutical Industries, Textile industries etc. Aerotherm designs and manufactures customized and specialized Industrial Ventillation Blowers for industrial applications including ventilation, power plants, air washers, air handlers and industrial applications like turbine hall ventilation, product cooling, industrial exhaust systems, dust collection systems, pneumatic conveying systems etc. 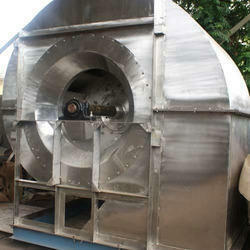 Keeping in sync with time, we are able to offer Industrial Blowers to our respectable clients. 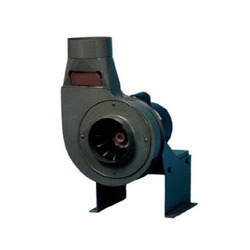 The offered range of industrial blowers is made utilizing high grade raw material and innovative techniques in strict compliance with the international quality norms and standards. Moreover, the offered range of industrial blowers is suitably checked on varied parameters to ensure that defect-free products are delivered at customers' premises. We are an eminent name, which is engaged in delivering High Pressure Industrial Exhauster at clients' premises. The offered range of high pressure industrial exhauster is manufactured utilizing high grade raw material and innovative technology in complete adherence with the international quality norms. Along with this, the offered range of high pressure industrial exhauster is suitably checked on different characteristics to maintain its authenticity throughout the designing process.